Every once in a while when you have to go out or just dress up for an occasion, you open your wardrobe and wonder why you have such limited options. Even if you have a cupboard or a walk-in closet to yourself, sometimes you just stare at it, and wonder about getting a whole new haul. This sort of boredom with the same old pants, dresses, tops, etc. often sweeps over many of us, and we immediately rush to the nearest mall to restock our closet. But before spending our hard-earned money on new clothes, how about recycle the old ones? Rather than throwing your old tops and dresses away, you can give them a new life, refashion them in a way that they look funky and stylish. If you have basic knowledge about sewing and embroidery, then this is a great way to reinvent your old wardrobe. You can make funky embroidery designs like flowers, stars, alphabets, etc. on your old pair of jeans, or sew up a sequin pattern. Making a colourful flower with pearls, sequins or embroidery can give a splash of colour and style to your old pair of denims or just a blouse. Putting up a patch work on your old sweater or jeans can be a great idea too as it gives a nice grungy appeal, and it can help cover permanent stains too. Changing buttons of your old blouse is also another easy way to refashion it. If you don’t have a lot of options at home, you can take your blouse to a local fabric store. Go to the button section, and try different buttons and see which one goes the best with your blouse. Vintage buttons can add a lot of character to your piece of clothing, and you can look for them in antique shops. You will instantly see what a difference a new button can make. After selecting the suitable buttons you can have your tailor sew them on or sew them on yourself. You won’t believe your eyes on seeing how a tiny pearl or sequin detailing can transform your old top or bottoms into something so cool. You can style your way up with just an old top, some scissors, and lace and iron-on hem tape. Lace is a fantastic option to give your old clothes a vintage, edgy look. With a top or a dress, you can carefully cut whatever shape you want into it—a star, a number or a letter—and then stick in that lace from underneath to fill the void. Stylish and genius at the same time. With your bottoms too you can sew up some pretty lace into the ends of your jeans or pants to give a boho look to it. Lacing adds an element of fresh to your outfit and is a great way to upscale your clothes. 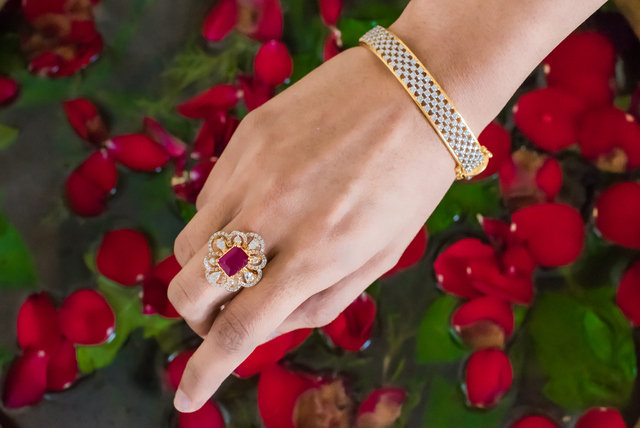 Accessorizing is undoubtedly the easiest way to reinvent your look, and adding jewellery does it best. Just a simple addition of a necklace or earrings can give your outfit the makeover it needs. Anything from earrings, necklaces, hats, headbands, to chunky bracelets can give that oomph factor to your look. If you have plain tops in your closet that you are bored of, add a simple accessory like a bold, chunky necklace. It will take your old look to the next level. You can look for some in junk jewellery stores or the local bead store. 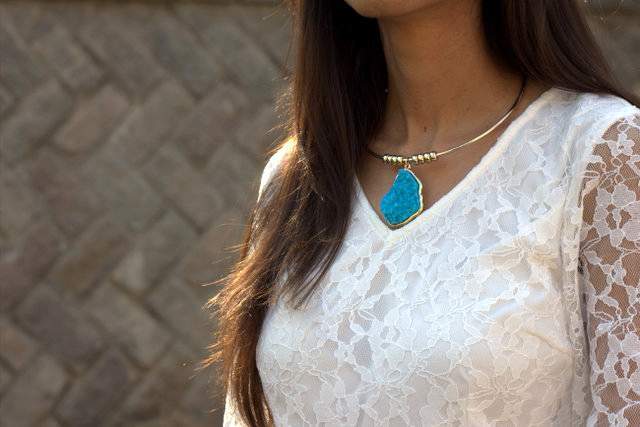 You can design your custom necklaces for different tops in your closet. Even a pair of big earrings like loops or danglers can give your old outfit a new statement look. If you have an old sun dress just lying around or have a plain top you don’t know how to style, then this is the right tip for you. You will be amazed by how a minor addition of a belt or a scarf can glamour up your style statement. Look for a statement belt to go with your loose dress or top. It will not only accentuate your curves but also reinvent your old dress into a hip and modish do. Similarly, a solid coloured scarf or a floral one can really pump up your outfit, you can style it in your own way, either tie it up or simply wrap it around your neck. A scarf or a belt can really give your old clothes a new look if you know the right piece that will go with your outfit. You can look for some great options online on websites like Myntra, or Jabong but a little efforts and right decision will fetch you upto 80% discount using shopclues offers on clothing accessories which you should not definitely miss out on. You can recycle so many of your dresses and tops if you just remodel it. You won’t believe how some of your old clothes can look drastically different if you wear them in a new way. 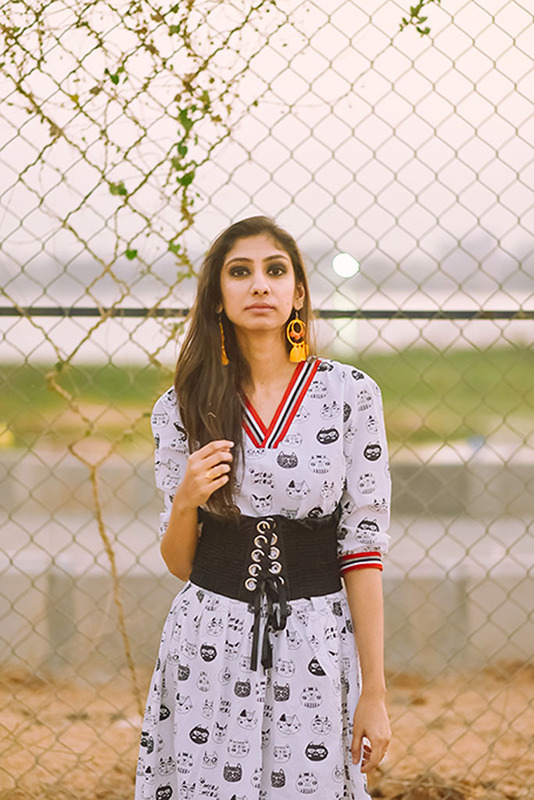 For instance, tuck that bodycon dress into your pants and wear it as a tight top, or wear your kurta as just a shirt dress. Similarly, Dresses also make great tunics to wear over tights, especially if you are figure conscious and don’t want your tummy to pop in pictures. Cut, sew and hem it up. If you are not good at sewing, take it to the local seamstress. Dresses can be designed with a great many variations of hemlines like shark bite, high in front, lower in back with side slits, etc. You can cut off the sleeves off a full-sleeve top and voila! You have a cool sleeveless blouse now. Even old jeans can be cut short to a cool pair of denim shorts. You can tie your jacket or checked shirt around your waist and you are ready with your stylish outfit of the day. You can literally reinvent your closet and give your old clothes a new life by simple ways like dying them into a new colour. If you have light coloured tops or pants that you are bored of, head to your local stationery store and pick out some fabric dyes. Use them to dye your old, tired clothes and give them a splish-splash of colour. If solid colours are too boring for you, you can try tie-dying as well, which is basically folding, twisting, pleating, or crumpling fabric and binding with string or rubber bands, followed by application of dyes. You can get DIYs on tie-dying and simple dying on many online blogs. A lot of reinvention comes from using your own creativity. Think about how you can wear the clothes you have in an entirely different manner rather than spending money on new ones. It doesn’t have to cost a million to look like a million. If you just try some of the above mentioned ways, you can enhance your own creativity and recycle old clothing as well. What’s better than being just a style diva? Being an eco-friendly style girl. Belts always save the day. Pearl work can be stunning too. It seems there are lots of ways to give your old clothes a makeover.